Hootie is a Therapy Horse Veteran. He has had nearly every student under his watch, providing lessons for newcomers and advanced riders with ease. His natural ability to give you a good workout in the ring and stay calm and collected in out in the Sensory Forest has awarded him the, 'tried and true, go-to' Hero on the farm. hootie - no sponsorship needed. Thank you Michelle Weiss for your generous support of hootie! In Hooties prime, he was a very successful Hunter Jumper and Grand Prix show horse. His owner Michelle began boarding with us when it was time for Hootie to retire from the show ring. He was still an able horse, and always showed an interest in the children who came to say hello to him. With his owners permission, we began training Hootie as Therapy Horse. He showed true talent, so from that day on, he never looked back. He was a part of the team. Hootie's career prior to a therapy horse lent him the skills it takes to be one with the rider. 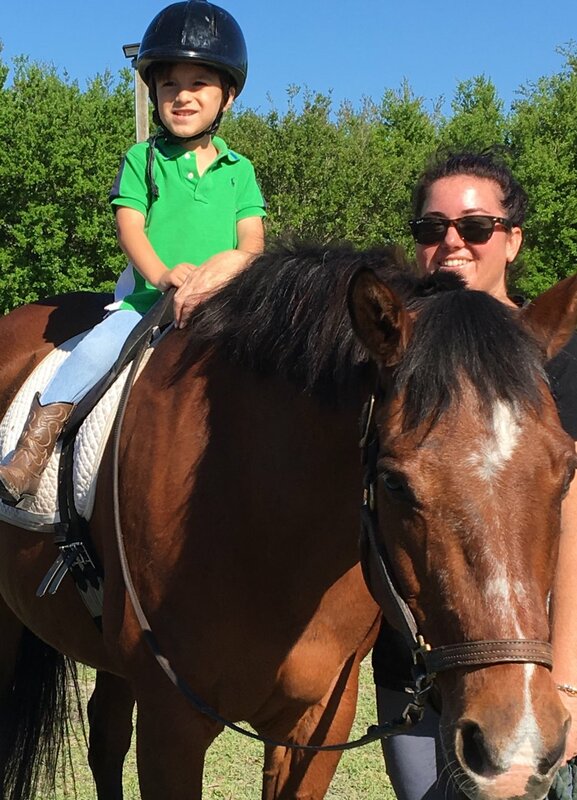 While Therapeutic Lessons often involve motor skill activities and less riding, his intuition about what the rider needs is still extremely necessary. He also gives many lessons to our more advanced riders; providing them with the opportunity to learn from a very talented show horse. The natural gait of a horse and human are very similar. While some horses gaits provide wonderful core strength, Hootie's long stride is great for legs. Many of our disabled star riders benefit from a good leg workout that they otherwise wouldn't be able to complete on their own. His large barrel (belly) provides stretching for humans and overall- the experience with Hootie is a memorable time.